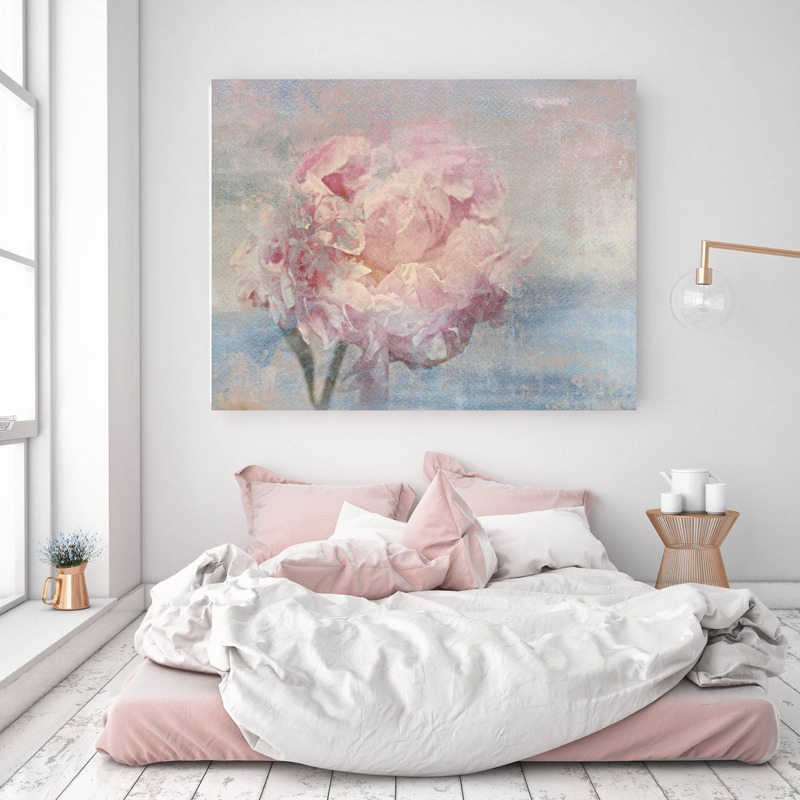 Soft and feminine yet bold at the same time, this oversized pale pink flower literally pops off of a pale grey distressed background. 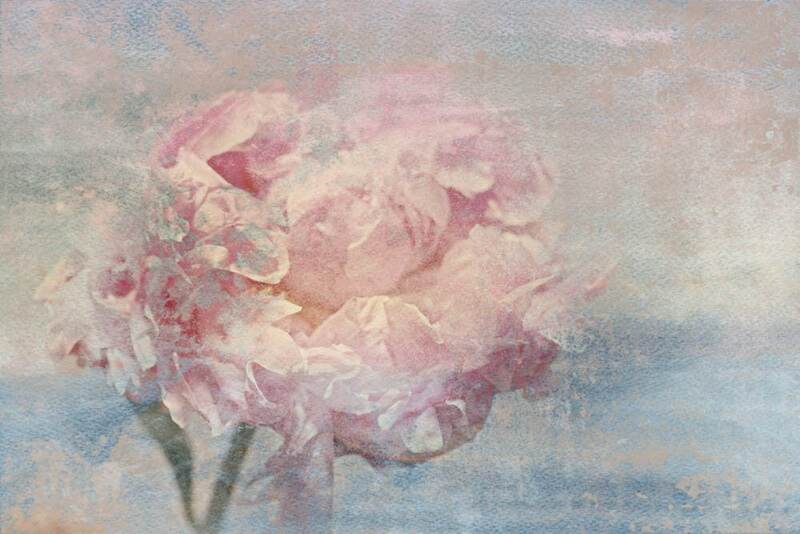 This is a high quality, 1.5" deep gallery wrapped canvas print of my original flower painting. I also give you the option to have this print hand embellished, whereby I will paint over certain areas of the print to add brush strokes, giving the impression of an original painting. No need for a frame - just hang it and love it. 7 sizes available from 20” x 16” to 72” x 48”. Your artwork print will be carefully packaged for safe delivery. Processing time is 7 to 10 business days, 14 to 21 business days if you choose the hand embellishing option. Handmade in the USA. - Professionally hand stretched over 1 ½” deep wood stretched bars.